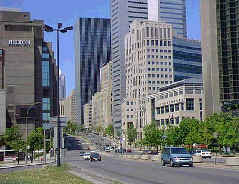 "Office Space Leasing in the Greater Montreal Area"
Your partners in real estate since 1980. Your lease is expiring soon and you want the best conditions. You want to save time!. What if you could find, all in one place, a company that does all of this for you. Stop... And relax now, you just did ! We will do all the work for you and much more. 1. We select the best sites among the bank of more than 80 million square feet available in the Greater Montreal area and Asia. 2. We negotiate for you with the owner and obtain the conditions you want..
4- Furthermore , we make sure that you are totaly and completely satisfied with your new offices..